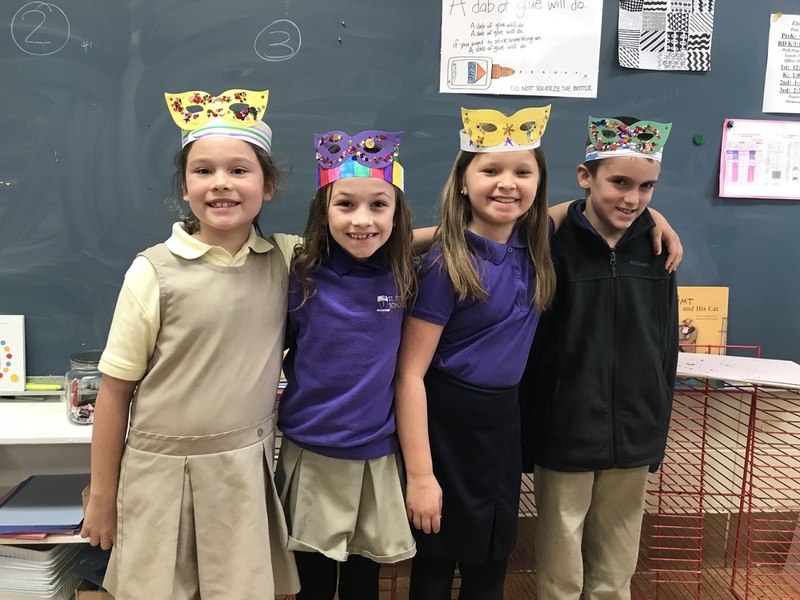 Second graders Lilly Allison, Noelle Pizzolatto, Josie Travis, and Tripp Davis show the headgear they made Monday with Ms. Shannon Chamoun's help in preparation for tomorrow's Fat Tuesday celebration. This comes in anticipation of Ash Wednesday and the beginning of the fasting season of Lent. Members of the high school band will also be joining in the festivities.